The File Manager is a place destined to store and share files, easy to use also as a support to other services. An easy archive for inbox faxes or for the files to be attached to faxes. 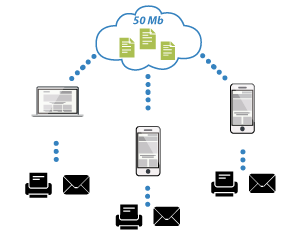 Every User is provided with 50 free MBs to be shared into folders in order to manage files which can be stored in every format. All documents are checkable and shareable both from pc and from your mobile phone. 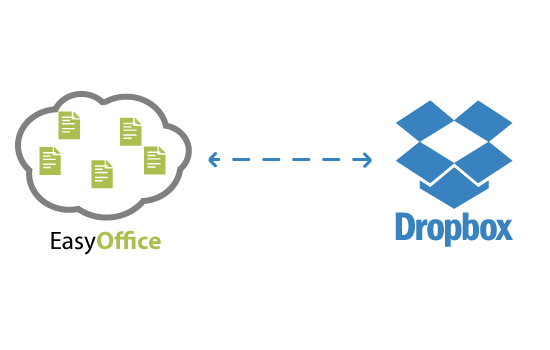 You can connect on Dropbox directly to EasyOffice, and use all of Documents as FAX attachments and more, you can store on Dropbox all of your Sent or Received FAXes. All stored files can be sent by mail or fax without leaving EasyOffice. Following a simple procedure it is possible to store files in a few steps in your File Manager EasyOffice by sending an email (Mail2Doc). You will just need to go to your mailbox, write your message and attach the file sto be stored. You will receive a confirmation EMAIL and, by browsing your File Manager you will be able to find the files stored with the Mail2Doc service. 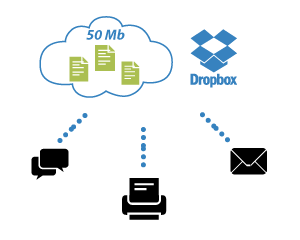 The service offered by the File Manager is usable at every moment through an internet connection and it allows you to have always 50 virtual mbs available, which can be used as archive or means of file sharing you can connect on Dropbox directly to EasyOffice. It’s a valid support for the other EasyOffice services, sending FAXes and offers the immediate sharing of files. Storing and sharing files in your File Manager is totally free. Storing a file with the Mail2Doc service is free. After having registered, if you go to your personal area, you will be immediately able to use the 50 free MBs in your File Manager.